Thank you all for your dedication and support all these years to make Front desk operation very successful. We now have a team of great volunteers and a good system established. The management team is very appreciative of our efforts. 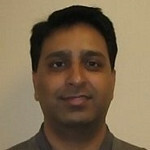 Purna Gurram (GP) will coordinate the Front desk operation for 2010. As you are aware of, he is part of our team for several years and familiar with the system and process. He also anchored several key events at the temple. I am sure that the front desk operations will continue to provide excellent services to our devotees with our dedicated team and GP's leadership. I will continue to be actively involved in Temple activities through Trustee Executive Council (TEC). I will also continue assist at the Front Desk as required. Thank you all, Wish you a very happy and prosperous 2010. Volunteer of the Month - Purna Gurram (GP). I know devotees and guests wants to see process improvements, knowledgeable volunteers and more automation to front operations. With a strong team of committed volunteers, the front desk is able to provide good service. But I would like to implement more improved processes and service levels that can be measured to provide best service possible. The values that guide my decisions are: a) How well it serves the needs of devotees b) Is it cost effective and long term. Message to devotees: Dear Devotees, thank you for your support and patience while we improve our processes. Request you to provide your feedback for improvements. 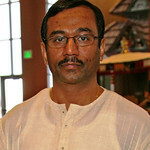 Please visit www.hindumandirmn.org to provide your feedback. Sign up for volunteer opportunities. Arudra Darshanam occurs on the full moon day in the month of Margazhi, when Lord Shiva is said to have performed the Ananda Tandavam for two of His devotees, Sage Vyaagrapaada and Aadisesha. Arudra Darshanam was celebrated at our temple on Saturday, the 9th of January. The abhishekam and alankaaram for Lord Shiva were followed by an enactment of the significance of the event by adults and children. Lord Nataraja in His pallaku or palanquin, was carried inside amid much fanfare and music. Devotees also offered natya/nritya seva in the sannidhi of Lord Shiva, a privilege and honor for any artiste. Andal Kalyana Utsavam, on the occasion of Boghi, was celebrated on Sunday, the 10th of January. Boghi is the day on which Andal is said to have merged with Lord Ranganatha at the Srirangam temple, as per her strong desire to marry Him. The event at our temple started with the recitation of Shri Godasthuthi and the Thiruppavai. This was followed by maalai maathal (exchange of garlands), maangalya dhaanam and vaarana maayiram, a playful routine Andal wrote about in her poem - where she and Her Lord would play with coconuts, while her song was being sung. The function was all the more lively and beautiful, with all the traditional wedding songs being sung by Veena Sitaram and Leela Ramanathan, and a Kummi dance by all the ladies at the very end. Sankranthi Sambaralu was celebrated with devotional fervor and enthusiasm on Saturday, January 16th. This event was attended by over 1000 devotees on the day that is traditionally celebrated to mark new harvest in Southern India. The celebrations at our temple started with Suprabhata Seva for Sri Srinivasa (Balaji). This was followed by Thomala Seva (Flower decoration), Procession inside the temple, Archana and Srinivasa Kalyanam (wedding ceremony) with Padmavathi Devi. Each stage of the Kalyanam was also musically rendered with melodious songs sung by devotees (Sangeeta Seva group). The program was followed by a traditional lunch and a cultural program consisting of classical and semi-classical songs and dances. Telugu Association of Minnesota, which organized the day-long event, also unveiled their upgraded website on this auspicious ocassion. Makarajyoti is the celestial star worshipped by the devotees of Lord Ayyappan at the Sabarimala Temple in Kerala, India. The main rituals were performed on the day of Makara Sankaranthi, January 14 2010. Makaravillakku is the special day, when a mystical lamp appears from among the forest, opposite to the temple. Devotees throng the temple to see this lamp. Lord Ayyappan is the son of Lord Siva and Lord Vishnu (in the form of Mohini). This auspicious day was celebrated at the temple in the evening with abhishekhem, puspha archana and padi pooja for Lord Ayyappan, accompanied by bhajans led by Leela Ramanathan. The event ended with devotees singing Harivarasanam (lullaby at night before closure of the temple) for Lord Ayyappan. Sages & Seers - About Adi Shankarar. 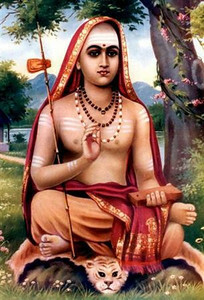 Adi Shankara, also known as Sankara Bhagavatpadacarya and Adi Sankaracarya, was an Indian philosopher who consolidated the doctrine of Advaita Vedanta, a sub-school of Vedanta. His teachings are based on the unity of the soul and Brahman, in which Brahman is viewed as without attributes. He hailed from Kalady of present day Kerala. Shankara was born to Kaippilly Sivaguru Namboodiri and Aryamba Antharjanam in the region of Kalady, in central Kerala. According to lore, it was after his parents, who had been childless for many years, prayed at the Vadakkunnathan temple, Thrissur that Sankara was born under the star Thiruvathira. The Siva temple where the parents received the boon for an extraordinary son was "CHANDRAMAULISHWARA" at TRICHUR. From a young age, Shankara was inclined towards sannyasa, but it was only after much persuasion that his mother finally gave her consent. Shankara then left Kerala and travelled towards North India and met Govinda Bhagavatpada, the disciple of Gaudapada. Govinda Bhagavatapada took Shankara as his disciple. He created four major educational centers in the four corners of BHARAT. These MATHAS were located at SHRINGERI in SOUTH-KARNATAKA, at DWARAKA in WEST-GUJRAT, at PURI in EAST-ORISSA and at JYOTIMATH in NORTH-UTTARKHAND. In addition he consecrated innumerable temples around the country. He lived only a short human life of 32 years (788-820 AD) but accomplished so much for the humanity. Similar to Vyasa he wrote several monumental books, bhashyas, kavyas and stotras. Adi Shankara wrote Bhasya (commentaries) on Brahmasutra, Aitareya Upanisad (Rigveda), Brhadaranyaka Upanisad (Sukla Yajurveda), Isa Upanisad (Sukla Yajurveda), Taittiriya Upanisad (Krishna Yajurveda), Katha Upanisad (Krishna Yajurveda), Chandogya Upanisad (samaveda), Mandukya Upanisad (Atharvaveda) and Gaunapada Karika, Mundaka Upanisad (Atharvaveda), Prasna Upanisad (Atharvaveda), Bhagavadgita (Mahabharata), Vishnu Sahasranama (Mahabharata) and Gayatri Mantra. Adi Shankara wrote the following treatises: Vivekacudamani (Crest-Jewel of Wisdom), Upadesasahasri (A thousand teachings), Satasloki, Dasasloki, Ekasloki, Pancikarana, Atma bodha, Aparoksanubhuti, Sadhana Pancakam, Nirvana Satakam, Manisa Pancakam, Yati Pancakam, Vakyasudha, Tattva bodha, Vakya vrtti, Siddhanta Tattva Vindu, Nirguna Manasa Puja. Just as a piece of rope is imagined to be a snake (in the darkness) so is Atman (soul) determined to be the body by an ignorant person. Neither by Yoga, nor philosophy, nor by work, nor by learning but by the realization of one's identity with Brahman is liberation possible, and by no other means. To provide a Hindu Mandir (place of worship) in the Twin Cities area. To provide a forum for scholarly discussions of the Hindu philosophy. To conduct and sponsor religious, spiritual, charitable, educational, social and cultural activities for the benefit of the Hindu community. To establish a library in the Mandir (Temple) that will depict Hindu philosophy and religion. To teach its younger members the history and development of the Hindu philosophy and religion and to inculcate a pride of their heritage. 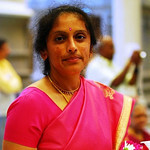 Encourage their participation and involvement with daily activities of the Mandir (Temple). Hindu Mandir Cultural Committee requires 20 volunteers for upcoming HOLI celebration arrangements. Newly formed Garden Committee needs volunteers for upcoming Plant Sale, Vegetable Garden, Landscaping and more. This email was sent to baskar@hindumandirmn.org by webmaster@hindumandirmn.org.